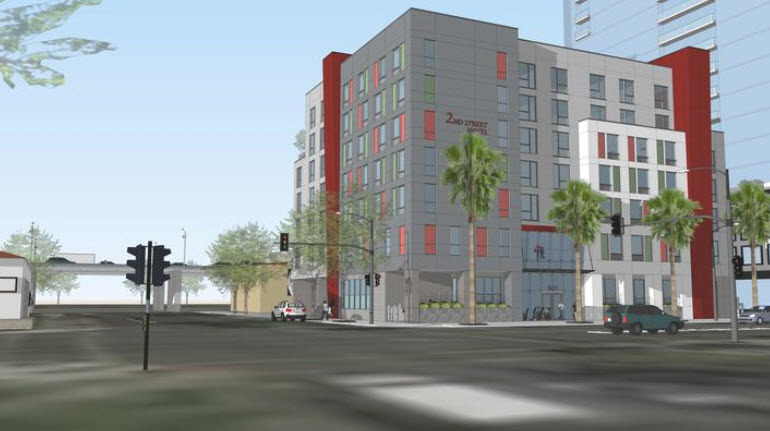 San Jose's artsy SoFA District is about to get a much needed new hotel. Downtown San Jose is starving for more rooms with occupancy and room rates hitting astronomical figures--we're talking up to $550 a night (with taxes & fees) for a normal room at the Fairmont in the middle of the week. Krishna Hotels is planning to build a 106-room, seven-story hotel at the corner of South Second and East Reed. Two stories of parking with 39 spaces would be built underground. While not a huge hotel, every extra room matters at this point. The location is also in an undeserved area close enough for San Jose business travelers but also far enough from the Downtown core that it can add more foot-traffic and vibrancy to SoFA. The Hotel would be built on what is now and empty parcel. No timeline has been given so far.